The Important Question: Who is on the Lord’s side? Then Moses stood in the entrance of the camp, and said, “Whoever is on the Lord’s side—come to me!” And all the sons of Levi gathered themselves together to him. Moses had gone up the mountain to receive the Ten Commandments from God. For forty days and forty nights the Israelites waited for him to come back. They became restive and asked Aaron to make them another god who would lead them on. Aaron obliged them and made a golden calf and presented to them as their god. God then called on Moses to get down for his people have deserted God. Moses came down on the day they were celebrating their new god. He was so angered by their action that he threw the two Tablets in his hands to the ground and broke them to pieces. He called for a separation of the Israelites into those on God’s side and those on the other side. 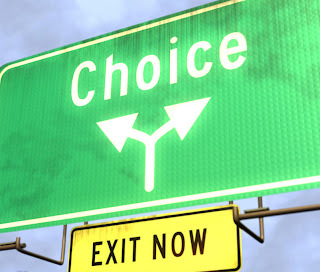 Life is constantly requiring us to decide on choices – one or the other. What work, what career, what wife, what...? We need constantly to make decisions based on facts. Tonight, the question is: Who is on the Lord’s side? Before you shout I am or I am not, let us examine what is involved. What does it mean to be on the Lord’s side? Jehovah the Lord is the Creator, Governor, and Lawgiver, Bountiful Provider, Redeemer and Omnipresent God. To be on the Lord’s side means holiness – being set apart. God is pure, and demands that all who would be on His side must be pure in thought, in word and action. “Be holy for I am holy” - this means hatred of sin and every form of iniquity. To be on the Lord’s side, means being on the side of righteousness! Righteousness is right action, right dressing and right relationship. Equity is the rule of the Divine conduct. All His claims and actions are just. God’s eyes are too holy to behold sin. All iniquity must be purged and forsaken. We must then be righteous in all actions in all thoughts and speech. To be on the Lord’s side means being on the side of knowledge! God is light and in Him is no darkness at all. God has given His saving knowledge in His word. To be on the Lord’s side means exercising spiritual intelligence and having a mind illumined by the Spirit of God. It means being constantly in tune with God to know God, His way of eternal life and His plan for man. It means we must be very conversant with His word – the Scriptures. To be on the Lord’s side means that we are on the side of truth. “I am the truth” It means truth in our choice of career; truth in words, action and thought. It means no deception at all even in appearance. No gorilla acting. No wolf in sheep’s clothing. No devil in white collar. To be on God’s side means being on the side of goodness; – having the right emotions, desires and choices. It is being on the side of benevolence, kind action. It is being on the side of compassion – compassion for the lost and dying. It means witnessing in season and out of season. It means doing the super natural – What does not come naturally. It means denying self. It means being spent for others. To be on the Lord’s side means being on the side of mercy – side of kindness to the bad and evil, to enemies and those who spitefully use us. It means being on the side of doing good to those who do you evil; turning the other cheek. If your enemy hunger, feed him, if he is thirsty give him drink! Pray for those who persecute you. Wish them only the best and be sure you are doing it truly; not in hypocrisy. What does it mean to be on the other side? The side that is opposed to God’s; it is the side of sin, of rebellion and moral sin. It is the side of Satan. It is the side of the destroyer; the side of the foe of God and man. It is the side of lies and deception. It is the side of open treason and opposition to God. It is the side where we attack God’s prerogative and authority. It is the side where we question God’s love and right over our lives. It is the side of darkness, ignorance and superstition. It is the side of deception. It is not the part of reality but the part of what it looks which is not what it really is. It is the part of misery and woe. God Himself says: “Woe unto the wicked” It is the part of wickedness and all that it entails. These two sides are directly and totally opposite. There is no union, no agreement and no compromise (Second Corinthians 6:14ff). This means that these two sides are forever hostile. The devil constantly is seeking to seduce and destroy. “Your enemy the evil is like a roaring lion prating about and seeking whom to devour.” On the other hand God sent His Son to destroy the works of the devil, to seek the lost and to save as many as come to Him through Christ. It is not His wish that any should perish. Whosoever wills, shall be saved! All men belong to the one side or the other. There is no neutrality. It is either sin or pollution or on the side of grace and holiness. There are only two kingdoms – The Kingdom of God or that of darkness. Now which side do you belong to? If you are on the Lord’s side you will know it because you will be changed, renewed and others will know it. “The Spirit bears testimony that we are sons of God. If anyone is in Christ, he is a new creation.” You will know too by the examination of your heart. People will know by the profession you make openly professing Christ. Not being ashamed of Him. Your life will show it as you live a devotional and obedient life; by the bearing of your general conduct – seeking the things of God, praising Him in all times, glorifying God; Praying at all times. Who are on the Lord’s side? There are some here who would answer certainly and distinctly –I am. Are you? There are some who will answer –”I will be” they are postponing the decision perhaps for a more convenient time. But we only want to say – Today may be the only day you have. There are those who will be on the Lord’s side now. These are those who have recognized that tomorrow may not come.